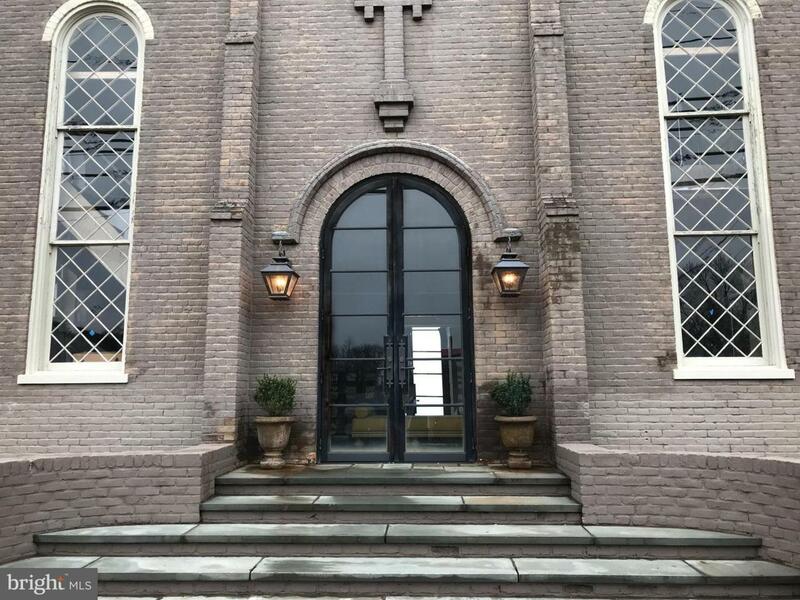 Exciting new relaunch of original St. John church built in the 1860's, with new improvements. 3 buildin parcel on 0.25 acres in the heart of Warrenton's historic district. 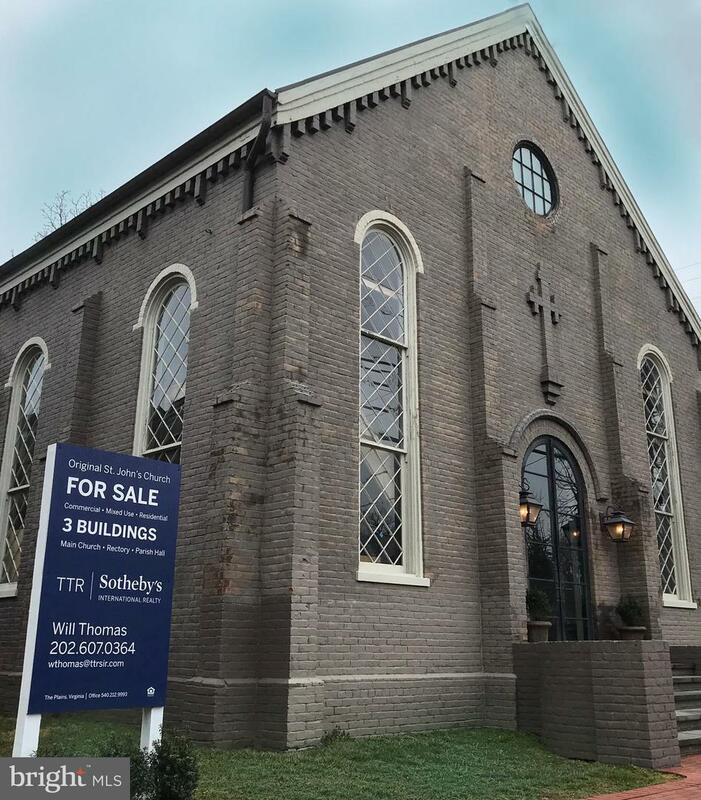 It includes the historic main church, rectory and parish hall totaling nearly 8,000 sqft. 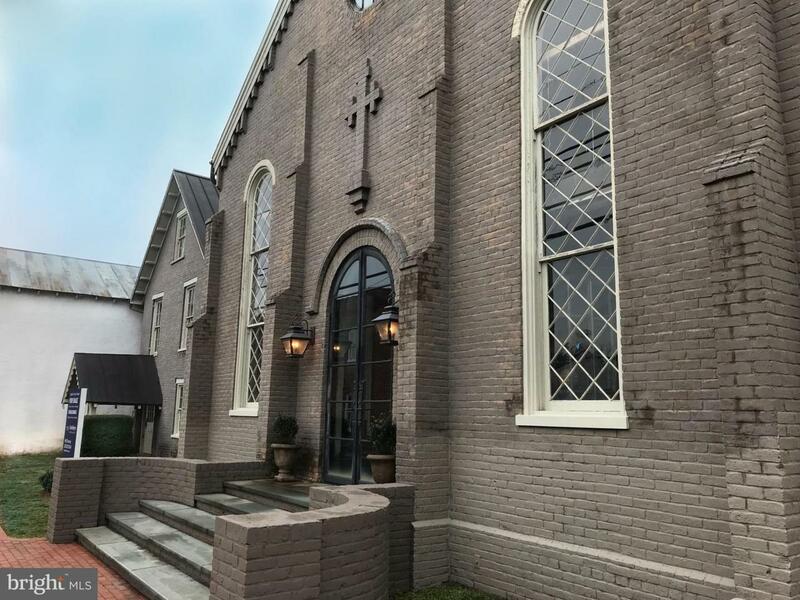 The church design is a romanesque revival with brick buttresses, brick corbelled cornices, arched windows, custom iron doors and two stunning rondel windows in the front and back. The rectory has been totally renovated by celebrated interior designer, Barry Dixon. The design would allow 5 private offices with a first floor receiving room and a second floor conference area which has pre-exisiting plumbing for a wet bar or kitchenette. With central business district zoning, the buildings can be used for offices, a restaurant or housing. 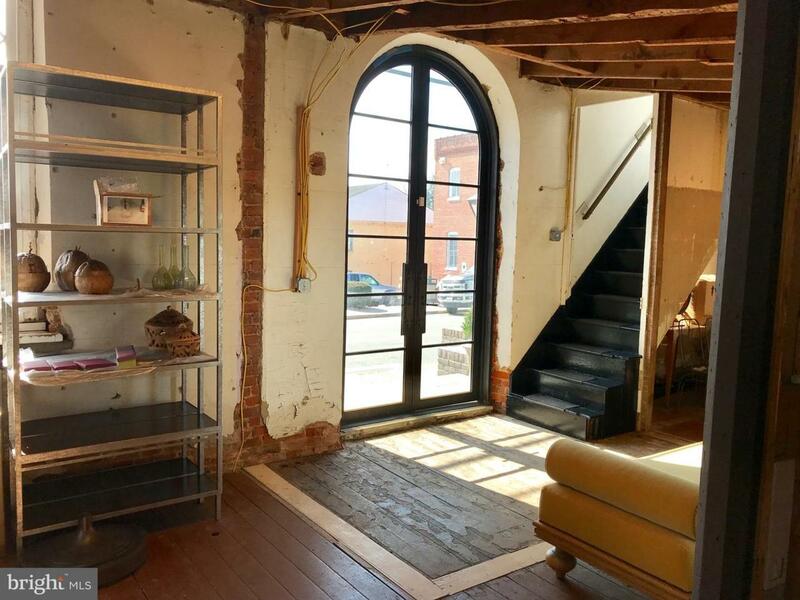 The office of Experience Old Town Warrenton is offering the purchaser a possible $25,000 grant to be used towards a business feasibility study. The rectory could also be used as a 4 bedroom residence with two private rooms on level two and two more on level three. There are three working fireplaces and an upscale first level half bath with a Waterworks vanity. What was known as the parish hall has been freshly painted outside with other improvements. High ceilings, casement windows, the old children's stage, full second floor of storage and areas for bathrooms. The church complex is currently used as a private interior design warehouse. Architectural plans have been created by the firm Sutton-Yantis in collaboration with Barry Dixon Inc. The extensive architectural plans with complete interior and exterior elevations for a full renovation of all three buildings are included in the purchase price. The rectory building is already completed. The pea gravel courtyard has been used as both a tranquil garden space and a motor court with 6 or more vehicles parking in the square at one time. The Town of Warrenton is currently negotiating to create additional municipal parking on a parcel of land owned by the church next door. Ask Will for more details.